The National Research Council (NRC) creates nutritional requirements for each species. With horses they use a calculator that factors in specific things for each individual horse in order to be certain the horse’s nutritional needs are being met. 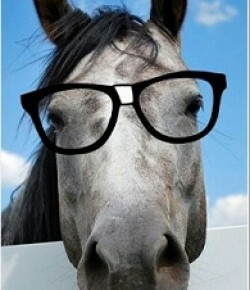 As you could probably figure out, a race horse needs a different diet than a pasture ornament. A warm blood broodmare has different dietary needs than a miniature horse. 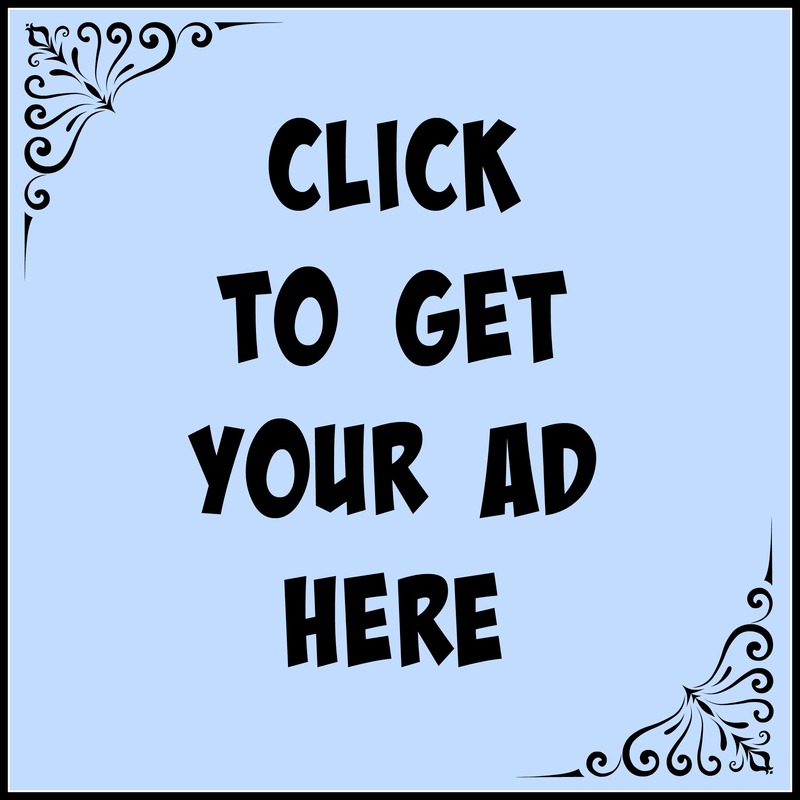 I found this horse feed calculator that is VERY similar on HorseMath.com Click this link and fill in the necessary info to determine what your horse(s) needs and to see if his current diet meets them. Not sure about your neck of the woods but it’s HOT as H-E double hockey sticks here! Not only is it hot for regular riding (where we can schedule that before or after the heat of the day), but this weather also coincides with showing and competition. You can’t always get the early classes or start times so you end up riding in the heat. There are plenty of articles about what and how to feed during the cold months but not too much on this topic when we are sweating. So I started to write an original article about it then remembered my good friend Dr. Marty Adams (smartest nutrition nerd I know) had already written one! With his permission and a shout out to the company he works for, Southern States, I am re-printing his very informative piece. 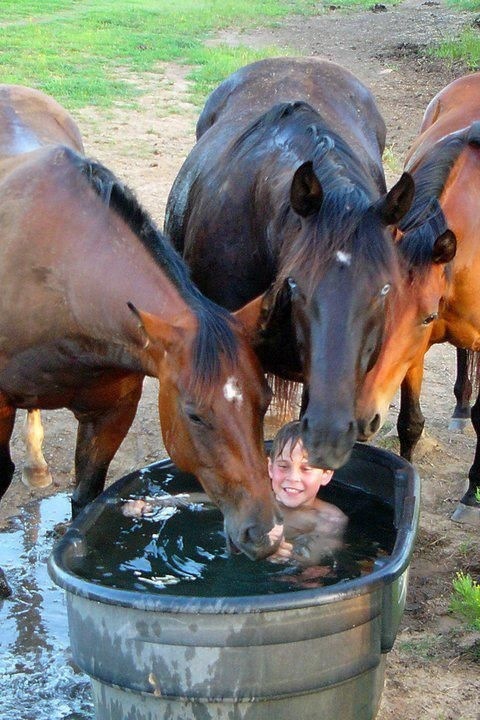 The horse has a thermal neutral zone of 68° F, which means that above or below this temperature he has to expend additional energy to warm or cool his body. 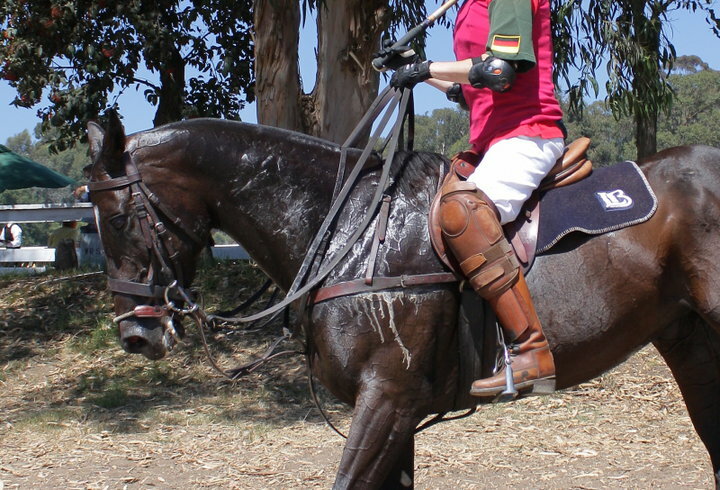 The major means that the horse uses to cool his body is accomplished by sweating. During hot weather and muscular activity, the horse’s body temperature increases and he must increase his sweating rate and respiratory rate to decrease the heat load. These activities cost energy which could be used for performance or training energy needs. 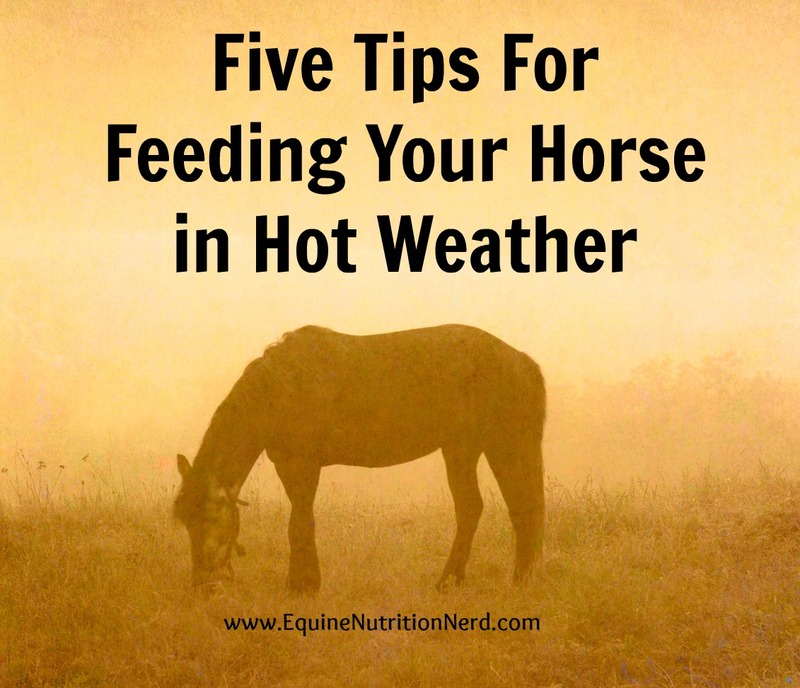 Following are some feeding tips that can help to decrease the horse’s heat load and increase the stamina and health of the show and performance horse during hot weather. 1) Supplement electrolytes to hard-working horses: When horses sweat, the minerals they lose in the greatest amounts are sodium and chloride (commonly known as salt) and potassium. These minerals are known as electrolytes. Depletion of electrolytes interferes with muscle contraction and the result can be fatigue or poor performance, and severe loss of potassium results in symptoms similar to tying up disease. Electrolytes are provided in the diet to replace minerals lost in sweat and to increase water consumption to offset water loss from sweating. 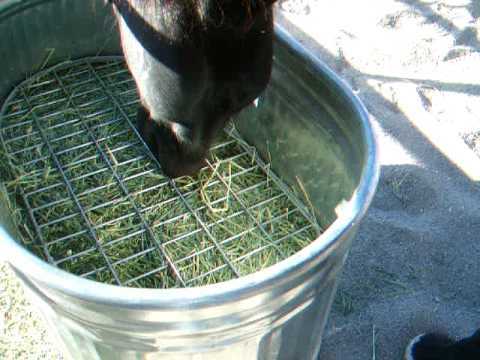 Horses in hard work that receive normal hay and grain diets are likely to require additional electrolytes due to the low levels of sodium and chloride (salt) present in hay. Active horses receiving five to ten pounds of grain and fifteen to twenty pounds of hay daily will require one to two additional ounces of salt. This can be provided by adding two ounces of salt to the daily feeding program or four ounces of a salt-based electrolyte. 2) Don’t feed too much protein: When protein is fed in excess of daily requirements, the horse must break down the protein for energy production that it can’t use as amino acids to repair and replace muscle and body tissue. This process is called deamination and it generates more metabolic heat compared to regular digestion and absorption of dietary protein. This extra heat increases the horse’s total heat load and it must burn even more calories to increase breathing and sweating rates, and drink more water to rid its body of this extra heat and nitrogen. A horse in intense work only needs slightly over 10% protein in the total diet and that is easily met with good quality hay and fortified commercial horse feed. Good quality alfalfa hay will contain 17% to over 20% crude protein, so limit the amount of alfalfa hay fed to a maximum of ten pounds daily, or use a good quality grass hay that tests 8 to 10% crude protein for total hay needs, or provide a mixed hay such as timothy/alfalfa or orchard grass/alfalfa that has an intermediate protein level. Select crude protein values of hay and grain to provide a dietary crude protein level in the total diet of between 10% and 12% to avoid excessive dietary protein. 3) Provide fresh clean water at the proper temperature: Research has shown that horses will drink more water when it is maintained at a temperature between 45° and 65° F, so water in an insulated and/or shaded container should insure adequate intake during hot weather. Keeping water available all the time, changing the water out every day, and maintaining a regular cleaning schedule will keep water fresh and clean and keep the horse drinking. One of the most common causes of fatigue in the performance horse is overheating. Keeping the horse well hydrated will insure an adequate amount of water in the horse’s body to maintain normal sweating rates to maintain normal body temperature and prevent fatigue. 4) Switch to a high-fat feed or add a high-fat supplement. Fat is digested, absorbed and metabolized more efficiently than any other nutrient, producing less metabolic heat. This has provided the description of feeding more fat to horses as providing “cool calories”. This is important during hot weather because reducing the heat load of the horse will reduce the energy needed to lower the body temperature, which may reduce calorie and water needs. 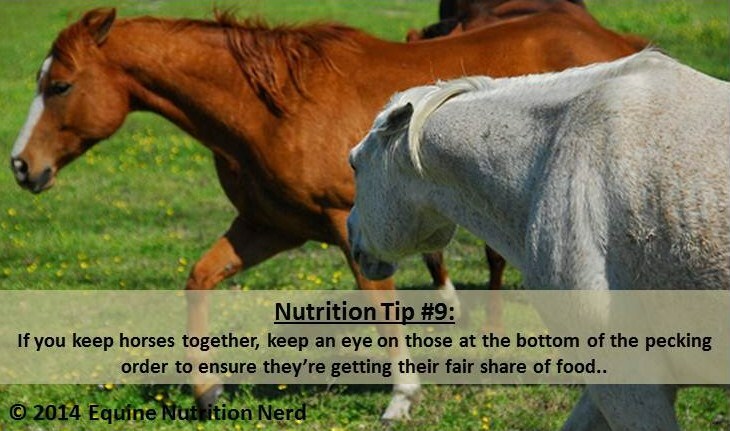 5) Don’t let your horse get too fat; maintain a proper body condition score. Fat acts as insulation to reduce heat loss. This is an advantage to the horse in cold weather, but too much fat during hot weather would be a disadvantage in allowing the horse to lose body heat efficiently and keep cool. A proper body condition score (BCS) for a performance or show horse is 4.5 to 5.5 on a scale of 1.0 to 9.0. Horses that are participating in timed events such as racing events should be maintained at a BCS of 4.5, horses in endurance, 3-day-eventing and jumping events at a BCS of 5.0, and BCS of show horses should be maintained at 5.0 to 5.5. Remember! If you decide to make some changes to your horses diet do it gradually. 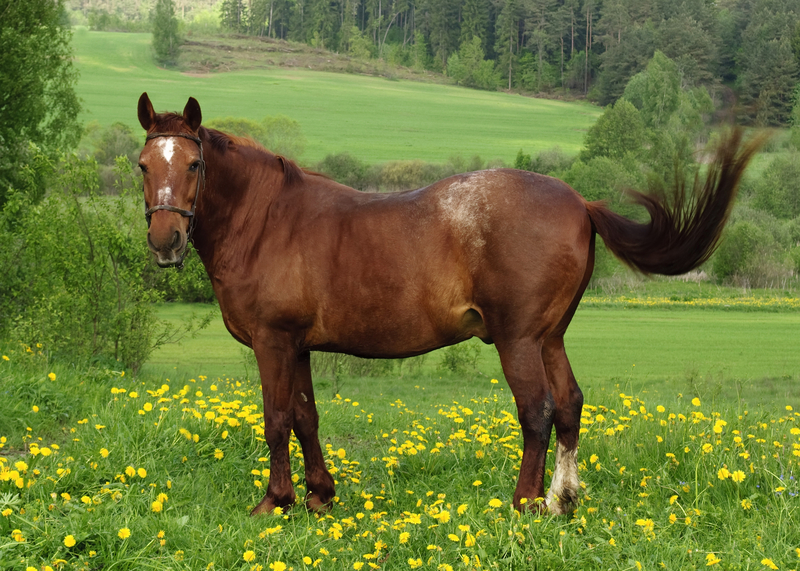 Especially during hot weather, drastic changes in the type or amount of grain or hay could upset your horse’s digestive system. 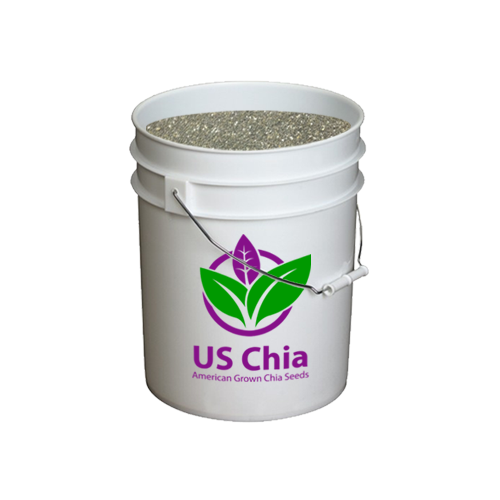 Introducing new feedstuffs in small amounts allows the intestinal microbes to adapt without causing adverse effects. When introducing a new grain concentrate or hay, replace 25% of each meal with the new feedstuff for three days, then replace 50% for three days, then 75% for three days, so that in ten days you have switched over to the new feedstuff without causing a digestive upset. 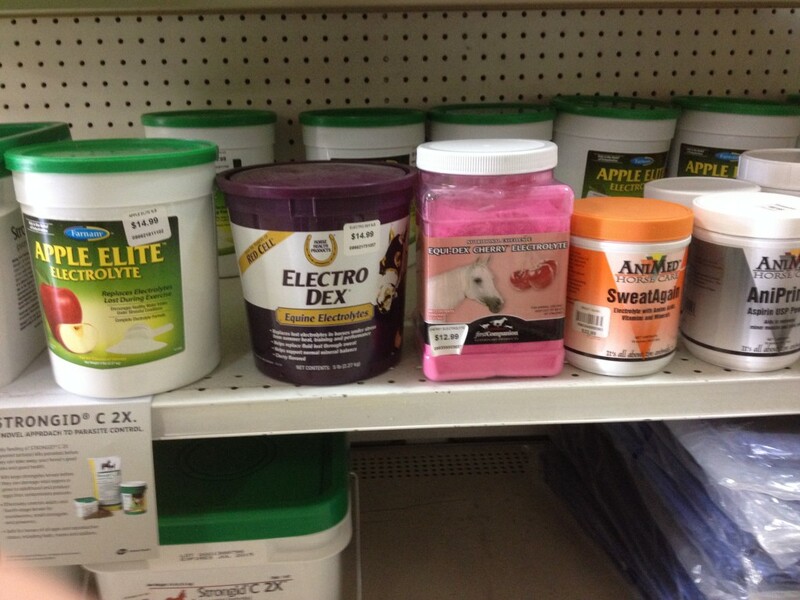 Stay tuned for a new article in our ABCs of Equine Nutrition! I might just get out of the Ds and onto the Es real soon! 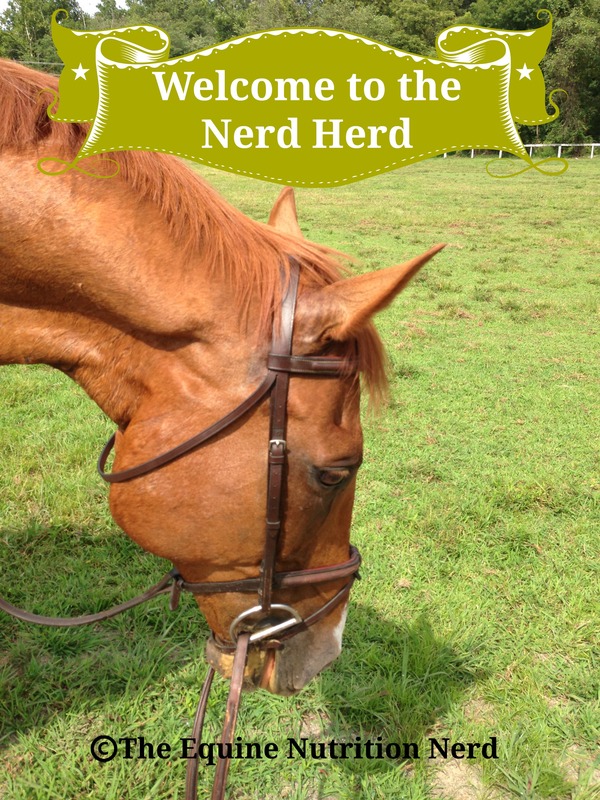 Welcome to the Nerd Herd Hero! “With most arthritis cases, nutritionally you have to make sure they’re getting certain nutrients to aid the body with inflammation and bone health. I always start with my hay and make sure it is tested and has a higher protein level so that I know my horse is getting proper amino acids. If the horse requires supplementation with grain for energy try to use one that has the three essential amino acids guaranteed in the guaranteed analysis. These include lysine, methionine and threonine. Most feed companies only guarantee lysine. Other nutrients that are super important for bone health are phosphorus, magnesium, sulfur and the trace minerals zinc, copper and manganese. Vitamins A, C and B are all really important for anti-inflammatory and connective tissue health. After you are sure his diet is adequate you can look at joint supplements. I usually tell my clients to use one that has all of the joint support ingredients (rather than just one) as you never know which one your horse will respond to. So look for one that has HA,MSM, Chondroitin, and Glucosamine. Herbal supplementation would include devils claw for reducing pain, Bromaline for anti-inflammatory and yucca for anti-inflammatory.